Jonathan Colin is Executive director at MaMa (Más Arte Más Acción Foundation). Cultural manager with extensive experience in contemporary art projects. After completing Fine Arts at the University of Brighton (England), he pursued a career in arts management, initially working in the public art sector. He directed two cultural organisations in the United Kingdom: Independent Public Arts (Scotland Ltd) and the London Printworks Trust. His environmental and social interests led him to initiate Más Arte Más Acción with Fernando Arias. Fernando Arias is MaMa’s Creative Director. Fernando is a Colombian artist who uses video, photography, installation and actions to explore the human condition. These include conflict, gender, religion social and environmental issues. 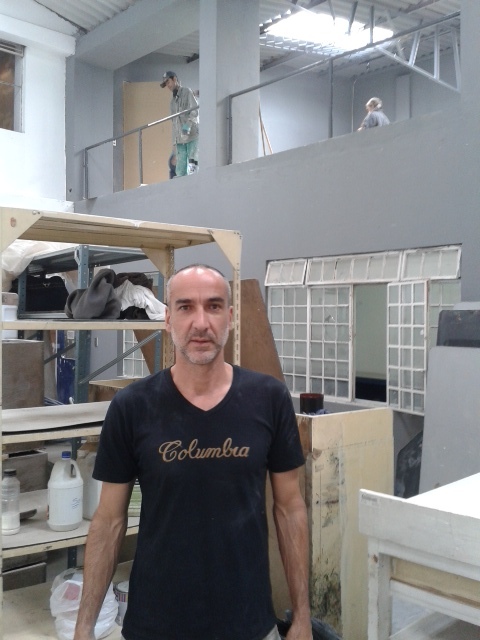 In 1994 he was awarded the National Art Prize in Colombia, and since then his work has been shown extensively in museums and public galleries around the world. This essay presents the work of Más Arte Más Acción, a UK–Colombian non-profit cultural foundation set up in 2009 by visual artist Fernando Arias and cultural manager Jonathan Colin. ABEL – Directed by Fernando Arias, 2015.